Below are Box Office Collection Report of bollywood film 'Parmanu' With his review, budget and total box office and worldwide collection status. Parmanu movie lead star cast is John Abraham, Diana Penty. Parmanu is an indian Thriller, Action Film of 2018, directed by Abhishek Sharma and produced by Kriarj Entertainment, Zee Studios. Parmanu film Released in over 1935 screens in India and 270 screens in overseas, Total 2205 screens worldwide. 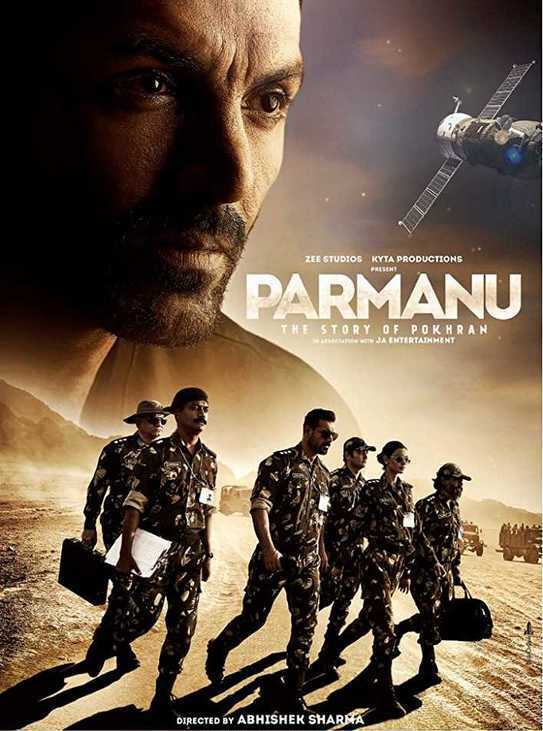 The film Parmanu-The Story of Pokhran is based on the historic event of India that led to the country's strength in the line of nuclear power-rich countries. The story is related to India's second nuclear test i.e. Pokharan 2. India conducted a second nuclear test in 1998 under the name of Operation Shakti in the Pokhran test range of Rajasthan between May 11 and 13, in which test exploration of five atom bombs was done.